i was re-reading the first patent of Cotsarelis (2006) to make some comparison about the methods . we can read only after , 3-12 days. there is a picture with a timeline about a mouse experiment . to start at day 11.
after wound and more of 3-4 days. Any idea / suggest ? AG1478 (150 μM in 10 μL volume) was administered as a single injection. 11 days after incisional wounding (1 cm2) to the middle of the wound near the skin surface. EGF receptor inhibitor administration led to generation of more and larger hair follicles compared with control mice that were wounded only (Figure 26A). As shown in Figure 26B, large hair follicles developed in the wounded area in the AG1478-injected mice. Left panel: epidermis stained for Kl 7, with three large hair follicles next to each other. Right panel: dermis stained for AP with large coalescing dermal papilla areas. The findings of this Example confirm the results of the previous Example, and show that more and larger HF can be generated when EDIHN comprises, or is followed by, administration of EGFR inhibitors, or with compounds with a similar mechanism of action; e.g. Hedgehog protein and androgen antagonists. Now weve got this cleared and out of the way. You need to wait at least three days before the EGF-antagonist. I’m surprised to hear you referring to this issue as “cleared” benji. I thought we were all still pretty unsettled on it. The Gentifib cancer regrowth case wasn’t using any waiting at all. And we were amassing a bunch of trains of thought that it made more sense not to wait at all either. » I’m surprised to hear you referring to this issue as “cleared” benji. For once I have never understood why the cancer patient have anything to do with the follica technology. Everyone seems surtain that he got a sunburn and that was what caused the hair growth. Sorry to say but that is just pure speculation, he could just be a freak accident who happend to regrow hair on medicine that is in the follica patent. And second I dont understand why it makes more sense not to wait at all when the patent clearly states 3-14 days post wounding. A patent is to protect the technology from competition so why would they want to throw off some guys at a internet forum? I am for once convinced that cotsarelis and company knows more than us, even if it makes more sense not to wait. I would also like to point out that no one seems to talk about dosage, most people seem to think that we just have to find an egfr inhibitor and everything will work. The person who failed (rev? cal?) with oral egfr inhibitor may not have had enough of it in his body/scalp. I believe a topical would be more efficient if we just could get a good formulation, the patent states how big concentration of egfr we need. B), while control mice (n=2) had many new HF5 as expected. (Figures 25 C-D). In an additional experiment, recombinant EGF (1 microgram (mcg)/microliter (mcl)) was injected at days 11, 13 and 15 after wounding. Skin was collected at 18 days after wounding and stained for K,17 and alkaline phosphatase. Once again, administration of EGF inhibited EDIHN. The findings of this Example show that EGF inhibits HF formation. Thus, inhibiting EGF, EGFR, or one of the pathways in which they participate increases EDIHN-induced HF formation. Me again…I cant believe I overlooked this. These mice WILL form some hair when abraded alone, but by administering EGF when their skin had re-epilithialized, they were able to stop this. If they block EGF at day 11 (EXPERIMENT 12), they could enhance hair follicle formation. Obviously they mean what they say about skin needing to re-epilithialize. Whether or not EGF could be inhibited before re-epilthialization and hair placodes still form is anybody’s guess, but we KNOW they got growth when the agonist was used on day 11 post wounding in the mice. This would correspond to day 3-5 in us depending on the depth of the wound. I think the immune system is the “biggie”. The immune system in a human being, MUCH MORE EVOLVED than what it is in a mouse, is going to respond to a disruption in its protective layer of the whole organism (the dermis) without fail. If anti-microbials and anti-inflammatories and anti-histamines can calm the wounded area and keep it infection free…then perhaps the immune system might not respond so mightily, but thats just conjecture. We know if the immune system is suppressed, hairs will grow (EXPERIMENT 7). Haroldo (Harold Hallman) had noted in other experiments in mice that if there is inflammation the mice wont form hair when they are baby mice. It somehow will interdict the whole process. » regrow hair on medicine that is in the follica patent. » company knows more than us, even if it makes more sense not to wait. » the patent states how big concentration of egfr we need. We should try to eliminate all useless variables like immune system and skin too low dosage (in patent we can read "contacting skin with an amount sufficient). I mean , is not any logically reason to believe immune system (or other) don’t became necessary in particulary moment of the process .Maybe dosage too high put in trouble the entire procedure. all this is quite possible in a topical way with tacrolimus (protopic/elidel cream) and gefitinib. ( i mean… gefitinib is soluble in DMSO but not in alcol). so every observation is appreciated. I took the normally recommended dosage of the drug. The gentifib cancer patients would most likely not have been taking a whole lot more than this either. The drugs may not have been invented for hair purposes. But they were still invented to inhibit EGF-R regardless of what you’re trying to accomplish by doing that. And if Folica wants us to take a lot more than what’s ever been approved in the past, then this would be out of bounds of their desire to skip the full FDA trials. » three days before the EGF-antagonist. I’m still inclined to try inhibition DURING wounding. EGF has a definite role in epithelization. I can’t see any harm in extending the window to prior to the wounding or at least at the same time. Is the EGFR inhibitor that you took, a small molecule drug? The patent & Zohar specifically mentioned small molecule drug(s), I’d say there probably is a good reason for that as well. » their desire to skip the full FDA trials. But the patent focuses on topical application wouldn´t you agree? The oral mentioning is just a line or two and it it feels more like a “just in case someone tries to find a loop hole that eventually turns out to work”. And in your case it did not work which makes me believe even stronger that the wound needs to be in direct contact with the egfr inhibitor. So the question I would like an answer to is how do we make a topical that can carry the small molecular egfr inhibitor through the skin without it loosing its function? Disolving leflunomide in alcohol did not work at least, I know that from my own experiments. » » three days before the EGF-antagonist. » prior to the wounding or at least at the same time. I still think that the best approach would be not to wound the whole scalp at once but rather do one smaller area every day for a week (or every other day) and on the last day(s) you can apply your egfr inhibitor. By doing so you have covered a big span of healing time and even been on egfr inhibitor when doing the wounding. Do you follow me? Dont you think this would be the best way of doing, it would save a lot of time instead of doing many separate experiments. » » » three days before the EGF-antagonist. » » prior to the wounding or at least at the same time. Thats a fair suggestion, but the thing is that we do not understand really how this approach works. Baccy did his entire scalp and yet the growth he had was ONLY in the crown area. WHY is that ? we dont know ! of course he talked about that wig …but what about the frontline ? so reducing the area involved with the experimentation can be counter-productive. Baccy , you said that you didt realise that there was much activity until you saw, yourself, the picture. My question for you is the following : ARE you sure that you were not missing some hair left alive on your crown as you were always under the wig or shaving it to 0 . Men do tend to radically give up on hair after a certain level of hair loss is reached and think it’s all gone although they still have some of it but who cares as it does not give the desired appearance anymore, so they just forget about the few follicules left and consider they lost it all. One more thing, was your crown the last castle to surrender ( to hairloss) ?What about frontline (was it the first) ? My oral inhibitor drug was Leflunomide. Mentioned in the patents in the same breath as Gentifib. A small-molecule non-natural EGF-R inhibition drug. Leflunomide and Gentifib . . . . they are alike in some ways but different in others. We need to keep this issue straight in our minds in order to correctly interpret what we are (and are not) discovering with all these experiments. But when comparing them in terms of skin absorption, these two drugs ARE NOT the same stuff. Gentifib has a chemical makeup that leads one to think it will be skin-absorbed well. But Leflunomide is an unknown this way. It may work fine or it not get matabolized correctly enough to do anything. Next time I will be switching my experimentation over to Gentifib. I think I’m gonna stay with Gentifib in the future whether I’m trying something orally or topically. Further testing might eventually reveal that Leflunomide still works equally fine for our purposes. But in retrospect it’s also one more variable that’s not really necessary right now. Gentifib isn’t THAT much more money. » matabolized correctly enough to do anything. » something orally or topically. Isn´t gentifib one of those expensive cancer drugs? It is good if we try different drugs and different methods (oral/topical), that is the only way we ever will crack this. And regarding Baccys regrowth I suspect that the regrowth is not new follicles but rejuvenated since it is growing in areas which look like a late norwood patern (last to go, first to grow back). Otherwise I think he should have had more spread result all over the scalp. If I am right he should have little or no result in further experiments. I hope to be wrong of course. Has anyone tried any other small molecular drugs mentioned in the patent besides leflunomide? you’re fine , try to eliminate extra variables. Also i’m agree with z79 about skin concetration of compound so please to consider topical way. my idea was referred to topical way . tacrolimus is out there in cream/gel (protopic). I disagree that we’re most likely looking at rejuvenated follicles. Maybe both things are going on, but I think it’s at least partly new ones being created. 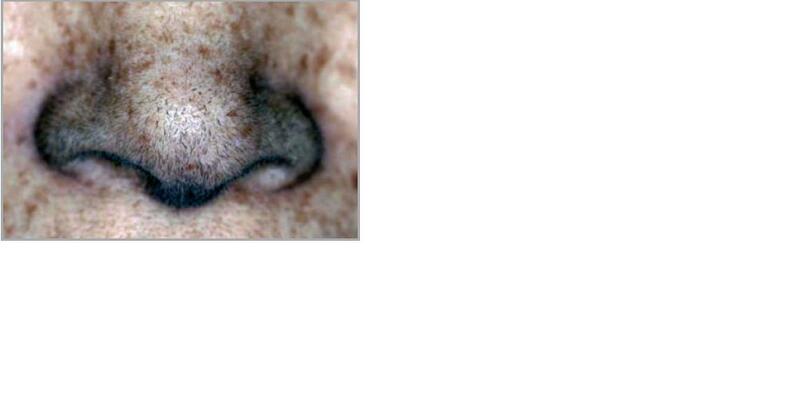 Look at the nose regrowth pics. No way that’s existing follicles. » follicules left and consider they lost it all. » ?What about frontline (was it the first) ? First thing I did when I removed the dead rat that was resting on my head was to grow the hair out to see what I had left. The answer was that I had quite a bit of vellus hair but nothing terminal. I don’t know whether these follicles are new or rejuvenated; in practical terms, it’s irrelevant. But there are some vague follicles appearing at the NW0 hairline. If they’re rejuvenated, they have been dormant since about 1979. As for the last to surrender, I don’t know because while all that was going on, it was covered by the rat. I do know that the actual crown is being more stubborn than the top of the head to grow hair at the moment. I’m still going with the whole area at once. I think that the size of wound is important. And I want to inhibit EGF definitely BEFORE via topical tannic acid and internally via milk thistle extract. I’ll keep you apprised. Note: If anyone starts messing with tannic acid, don’t be lulled into thinking it’s safe because it’s natural. In high concentrations, it causes severe liver damage. I’d hate for someone to get hurt trying out these things without considering the safety issues. » » Best of luck! » things without considering the safety issues.